The Carters were a well-known Southwold building family, responsible for many of the houses near the museum in Victoria Street and in Bank Alley. 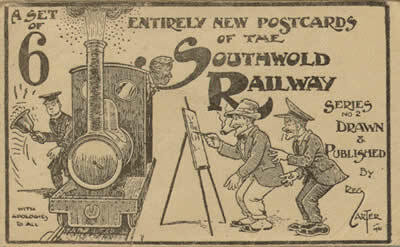 Born in Southwold in 1886, Reginald Arthur Lay Carter was a compulsive sketcher at school. He left at 14 to work in a solicitor's office but the drawing continued. 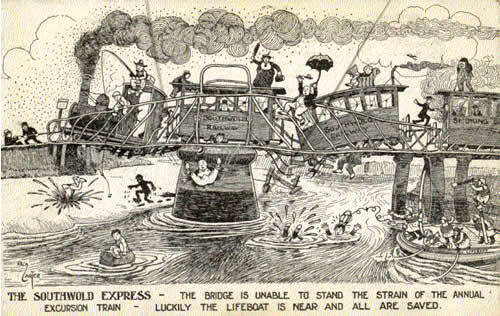 At the age of just 18 he received his first commission to create comical picture post cards. 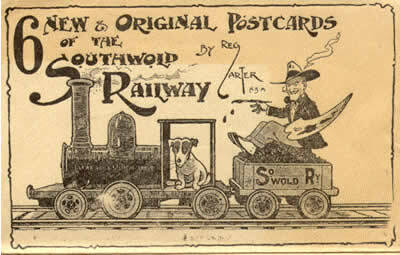 The first of the two series of Railway cards, ' The Sorrows of Southwold', for which Reg Carter is best known locally, appeared in 1910 - six cards sold together in a buff envelope featuring a caricature of Reg himself, at a cost of 9d. 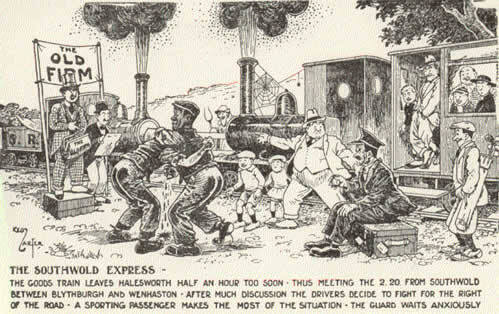 which originally featured a suffragette hiding in the branches of the tree, lobbing a bomb at the engine. 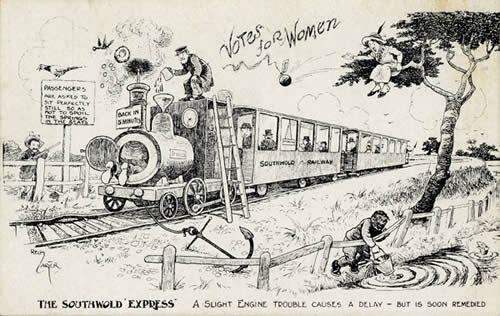 (P2438.2) Eight years later, when universal suffrage was introduced, the lady and the bomb were duly expunged leaving a suffragette-shaped gap in the foliage. Drag your mouse over the drawing to 'spot the difference'. 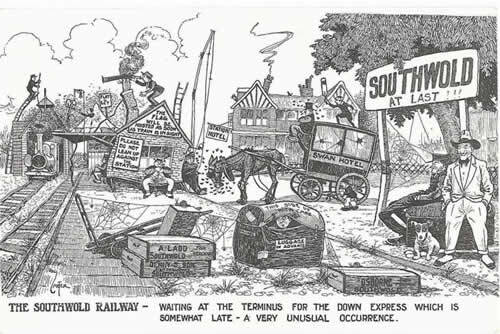 Here is a selection of the 'Sorrows'. 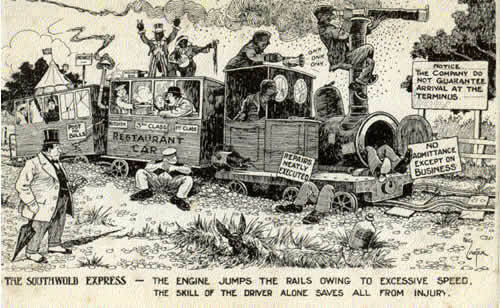 Both sets of Reg Carter railway cards are available as facsimile editions in the museum shop.